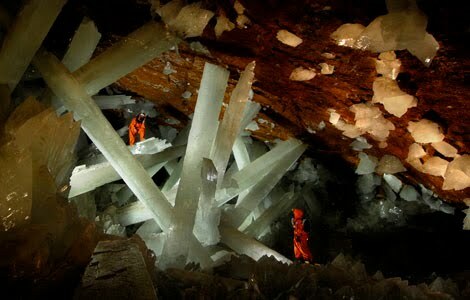 I was really intrigued by the National Geographic episode dealing with the crystals located in the Mexican Naica mine. The Naica Mine of the Mexican state of Chihuahua is a working mine that is known for its extraordinary selenite crystals. 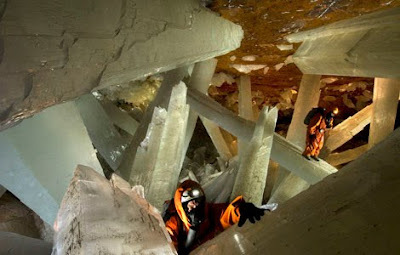 Located in Naica, in the municipality of Saucillo, Naica is a lead, zinc and silver mine in which large voids have been found, containing crystals of selenite (gypsum) as large as 4 feet (1.2 m) in diameter and 36 feet (11 m) long. It is an EXTREMELY dangerous cave because of extreme temperatures that are deadly to humans. Here are a few facts concerning this marvel of nature. Hidden deep beneath the surface of the Earth is one of the greatest natural marvels on the planet: a giant crystal cave with crystals up to 36 feet long and weighing 55 tons. But this scorching cavern could kill humans after just 15 minutes of exposure. 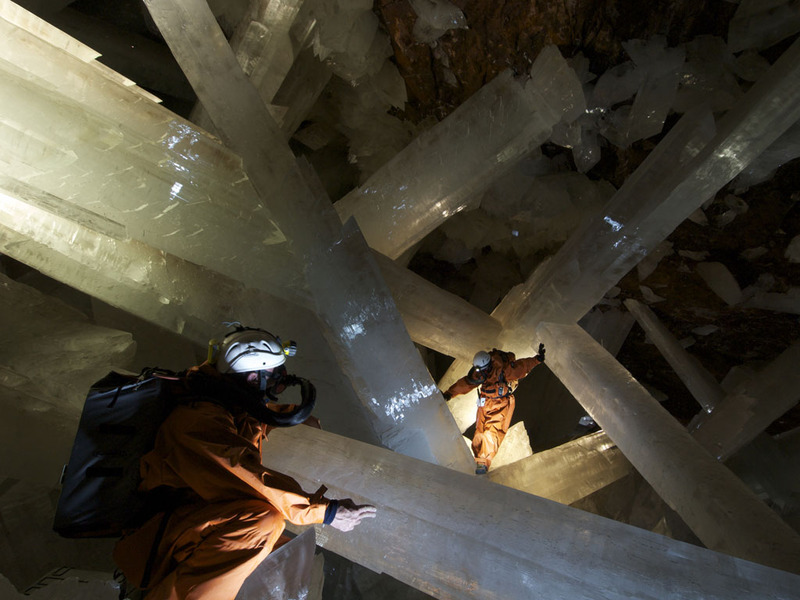 The stunning crystal pillars are made from the same common mineral as drywall – it's called gypsum. 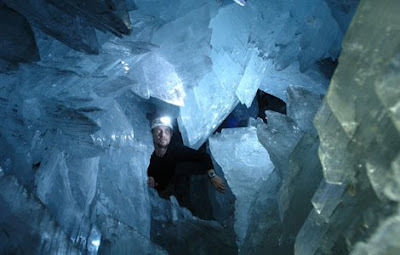 The Naica principle cave "Cueva de Los Cristales" is 113°F and 100% humidity. The Naica cave actuality footage was shot on solid-state memory HD video cameras (tape-less) wrapped in plastic bags and pre-heated for three hours prior to entering the cave. The Naica Project team created a stop-motion robot and fitted it with a Nikon digital still camera powered by a custom software to capture beauty-shot sequences of the cave with 10-megapixel resolution. This is certainly extreme caving compared what we experienced in the West Virginia caverns. Click for more information from YouTube..